Are you a fan of the red headed stranger? If so, then this place can’t be missed. It is a shrine to Willie and his friends – 5000 square feet of country music memorabilia. Be prepared – when you first enter the museum it is a GIANT gift store. If you need a Nashville shirt, shot glass or souvenir this is a one stop shop. When our family enters a tempting place like this I try to set expectations beforehand. I told both my kids – look, don’t touch, and no, we are not buying anything today. However, if I have family in town and they want a Nashville shirt this is where I plan to take them. The museum entrance is at the back of the store – be sure to pay your admission at the counter when you walk in. You will receive a full-size 2-page brochure to guide you through the displays. On the wall as you enter are family photos of Willie from his youth in Abbott, Texas. 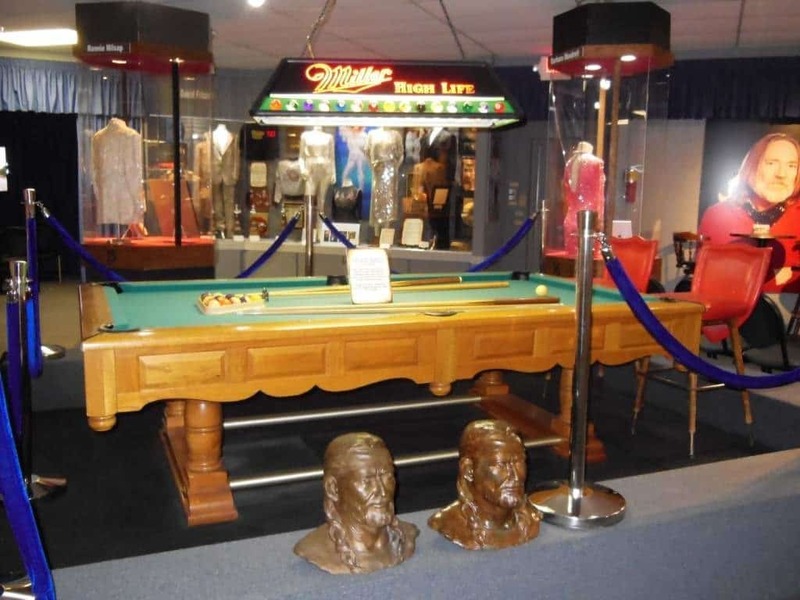 The room then opens up to Willie’s personal items including a pool table and 2 brass busts of Willie. To the left of the pool table, there is a wall devoted to Audie Murphy including his service in World War II. I was able to share a surprising history lesson with my son. There is also a small theater where clips of Willie Nelson’s western movies are shown. I knew he had been in films but I didn’t realize he had been in so many movies and TV shows. According to the IMDB, he has 37 acting credits! There is a section telling the story of the museum and how it came to be. Then the fun really begins – Willie has a lot of famous friends! The displays reminded me of the history you get to explore at the Country Music Hall of Fame. 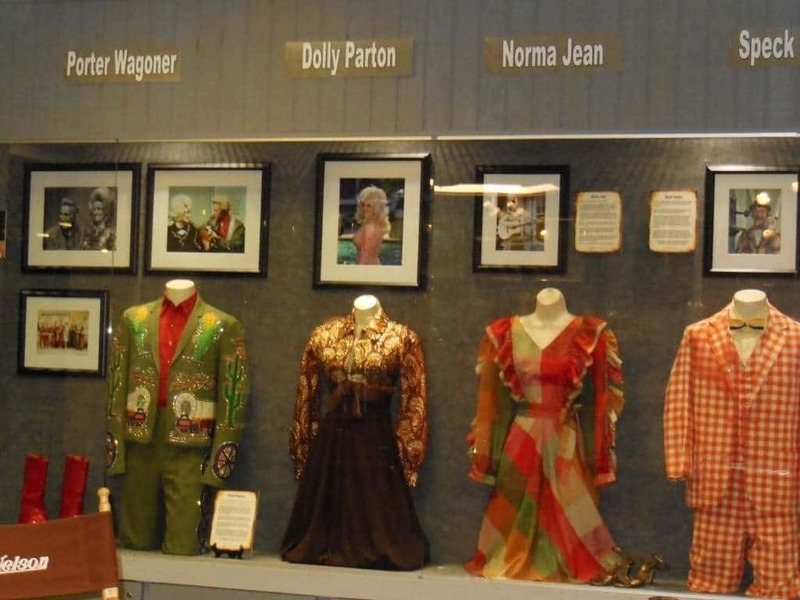 Costumes from Patsy Cline, Barbara Mandrell, Dolly Parton to name a few are all on display. I never know how big or small someone is from TV or pictures – it was interesting to see their actual clothing and the amazing details in the fabrics. If your kids listen to the original stars of country music they would enjoy this section as well. 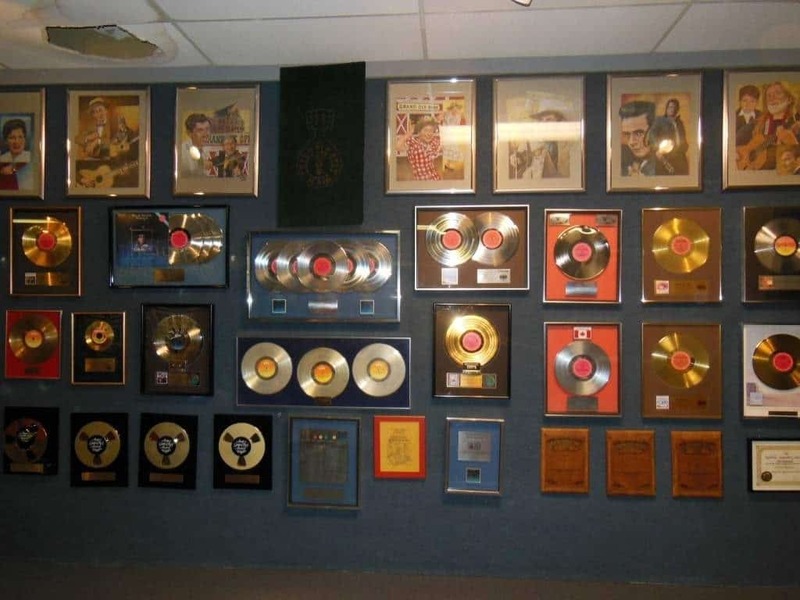 Continue through the museum to the wall of Gold and Platinum records. The guide says, “the wall contains just a few of the many gold, silver and Platinum albums earned by Willie Nelson”. This wall is 30 – 40 feet long and covered with history. If this is just a sampling I wonder how many he has total. I was impressed with the ones on the wall! While I enjoyed visiting – the museum was definitely more interesting to my husband and me versus our 3-year-old. My 8-year-old enjoyed looking around and I was able to tell him enough history that he is now a fan of the red headed stranger as well. 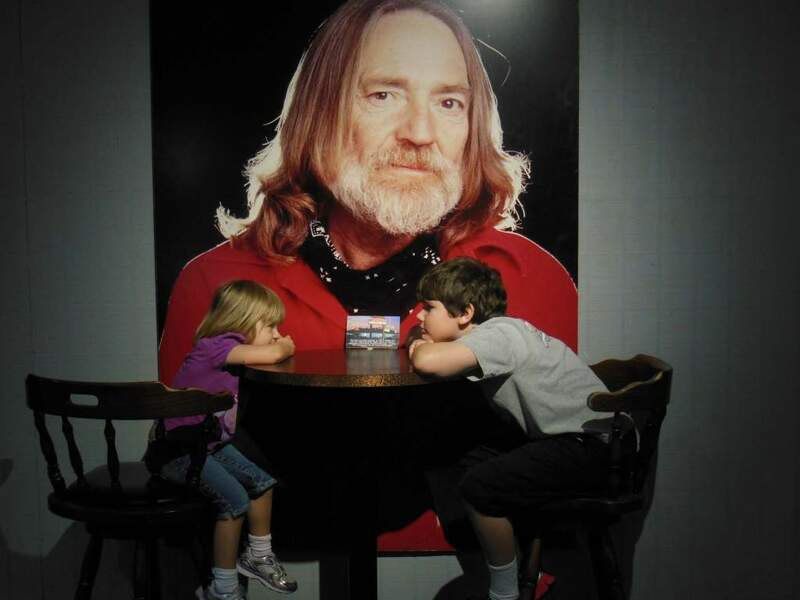 So, next time you are looking for something indoors to do with your bigger kids – keep the Willie Nelson and Friends Museum in mind.